Don’t get it twisted, Skye Bank has been renamed and now known as “Polaris Bank Ltd” after the Central Bank of Nigeria took over the bank in 2018. So every transactions, mentioning and so on should be addressed to Polaris Bank. Therefore, this post will focus on Polaris Bank Money Transfer code which is same thing as Skye Bank Money Transfer code. Also known as mobile banking code, Polaris bank mobile banking lets customers enjoy faster and easy transactions and self services from the comfort of their homes and working places. The bank utilizes this platform to express the ability to render a modern approach to banking, thereby making life easy for teeming customers. Therefore, customers who want to perform transactions on the go should opt for Polaris Bank mobile banking system for convenience and easy banking. This service is available 24 hours a day, and seven days a week. Follow the below step by step guide to accomplish your task. To transfer or send money to someone’s else account from your Polaris Bank (Skye Bank), dial *833Amount*account Number#. Then follow the on-screen instructions to complete the transaction. After that select 6, and enter account number. 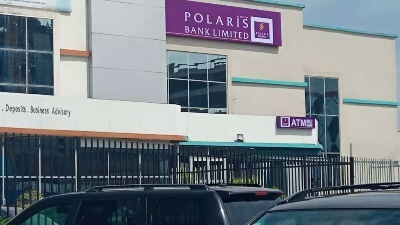 Cost of transaction: Transferring funds between two Polaris Bank accounts will attract N10.50 Naira fee with value added tax included while transactions between a Polaris Bank and another bank will attract 52.50 Naira. This Polaris Bank mobile banking service is a great platform to help reduce the long queue on ATM stands and banking halls. This is because you don’t need to visit the bank to perform most of the basic banking services rather you complete them easily via your mobile phone.